I recently hosted an event where other writers had the opportunity to ask me questions about the journey from hobbyist writing to becoming an Indie Author; Published by a well-respected company, and/or landing Freelance writing opportunities; learning to navigate Social Media, networking with fellow writers, and creating a social presence or brand and more. It was a delightful experience, but I was quickly made aware of just how Blessed I truly am, without realizing it! Blessings are funny things, really. We can look right past them and not even notice. During the course of the day, answering all the questions I was Blessed to receive, I realized just how fortunate I truly am. So much has happened in so short a time (just 4 little years!) I’ve gone from not even knowing what a blog is, to having nearly 18K followers! I’ve gone from being an unknown author, to being a well-received, Indie; then published writer who has been Blessed with Awards, Excellent Reviews, and books that continue to sell (which is all a writer can truly hope for). I’ve made more friends during this process than I truly realized and have developed a reputation for Kindness and Generosity without being thoroughly aware of it. How would you go about selling one of your books as a movie idea? Do you give a “Preview” of your books to your family? How can you say that you’ve reached the zenith of success? Where is the best place for you to settle and allow creativity to flood in? Which of your books gave you popularity and made you proud? How easy is it for you to manipulate word to form harmony, which resulted in poems? Did socialization and community affiliation help you boost your book sales? How passionate are you about relationships? Does this help you create your fantastic books? What do you think is your most valuable asset as a writer? Can you describe a scene from your dreamy evening? Hi Robert 🙂 Im not entirely sure I completely understand your question, however I guess I could say that nearly all my poetry is a description of my dreams….and since I tend to write most often in the evening, that as well….here‘s one I like. What is the secret to persevering challenges every writer has to hurdle? What has been your secret to winning those numerous awards? You are such a creative soul, intrigued by mysteries. Are you also a hopeless romantic? Hi Kelly 🙂 Yes, I absolutely am, though I like to say, I am a Hopeful romantic! I do believe being a romantic at heart aids in writing/creativity and I think you may agree that most ‘artists’ are also romantics. Whether you dream of a utopian socieity, finding your Soul Mate, or the possibility of life in another realm of existence, being a romantic gives you the ability to look beyond reality and dream of what may be better. Ultimately, that is what generates creativity.What do you dream about? Do you use it in your own writing? Thanks ever so much for asking:) Many Blessings! What is the most effective technique for you to gain the spotlight in the social media world? Hi Sandra 🙂 For myself, I have found that by connecting with other writers/artists through genuine conversations and by offering spotlights/reviews/guest blogging on my own blog, I have found reciprocal offers easy to come by. You might call it networking; you may call it Karma, but I have found that others are far more liable to offer you an interivew or spotlight for your book if they already know and (hopefully!) like you 😉 The other, more obvious avenue (though usually less successful, by my counts) is asking. Peruse other blogs and websites, see what they offer and what they are looking for; and if it meshes with what you are seeking to share, reach out to them. Every new avenue helps to lay a foundation for you. Each opportunity, no matter how seemingly insignificant, widens the path; so don’t be shy. Believe in yourself and Be Bold.What have you found works best for you?Thanks ever so much for asking and visiting me today. Delighted to meet you and wish you all the best ! If I’d like to follow your footsteps, what golden nuggets of advice can you share with me? You must be a blithe spirit, easy to be cheered with simple things. How do you maintain such a disposition? How did you attain overnight success? Are you open to sharing your expertise and tips to budding authors or rising stars? How does one get over a writer’s block? Writing is much the same, really. Although quiet spells come, and sometimes Inspiration seems devoid of feeling, its not a matter of IF it will return; only when. I’ve been writing steadily for nearly 4 years now; ever since opening this blog, and in all that time I really haven’t hit any insurmountable walls….until recently. Having finished Dark Fey, the source of its inspiration has quieted. Odd, really, that such a strong voice should now go silent, but it has. Still, it only serves to remind me that the story itself was, Truly, Inspired. 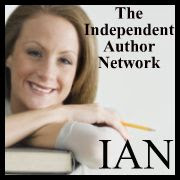 Author T J Green and I were recently talking about writers block and inspiration and she turned our chat into an interview. So Im delighted, in the absence of new material of my own, to share our discussion with you. Who’s your favourite author and/or favourite books. Charles Dickens. Jane Austen. Shakespeare of course. Poe. 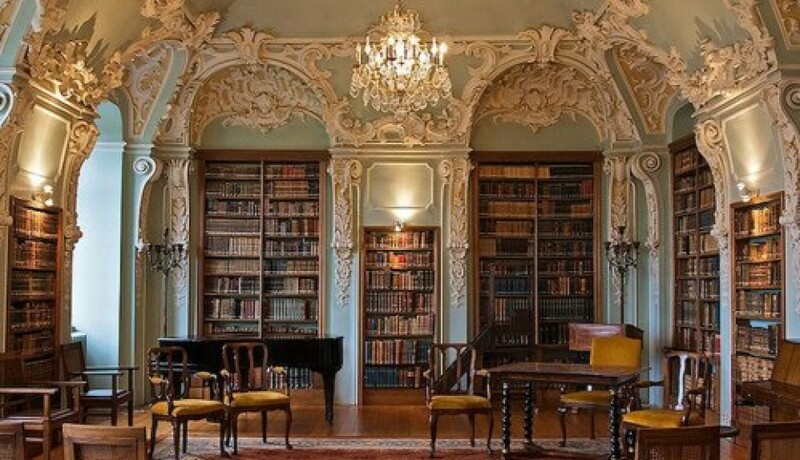 I tend to prefer classic literature as opposed to contemporary, although I do also read Philippa Gregory and my good friend Richard M. Ankers (who writes a very cool combination of Fantasy/Sci-Fi/Steampunk). I spend most of my weekends with my Dear One. We’ve only been dating for about a year and the romance factor is still heart-pounding. When I’m not with him, I spoil my cat, spend time with my family and friends and do as much independent marketing on social media as I can. 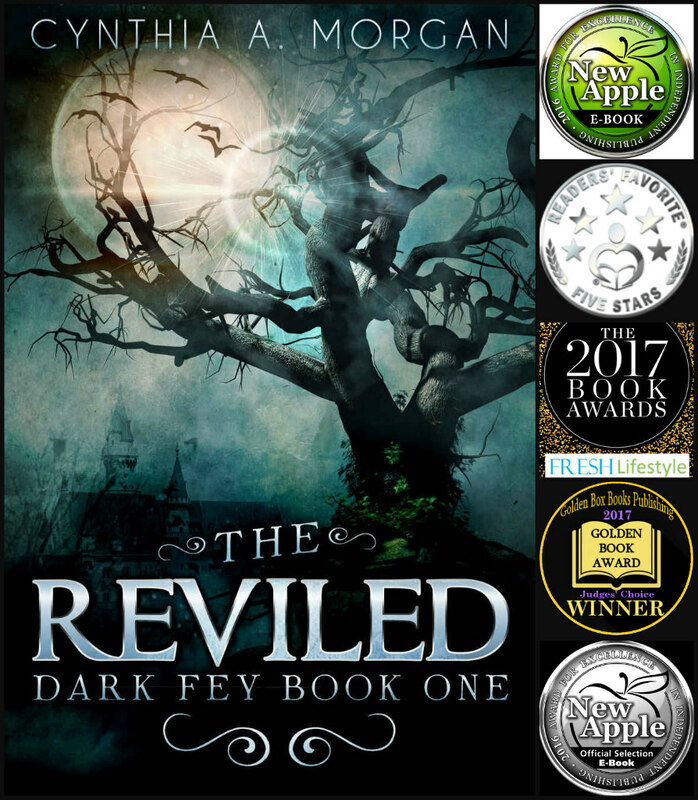 Author and Editor Lisa Haselton recently opened a conversation with me about Dark Fey, what Inspired the story; what it’s underlying Message is, and how it has effected me/ changed my life. My guest author today is Cynthia A. Morgan. She’s chatting with me about her newest release, Dark Fey: Standing in Shadows, which is the second installment of theDark Fey Trilogy, her WIP. 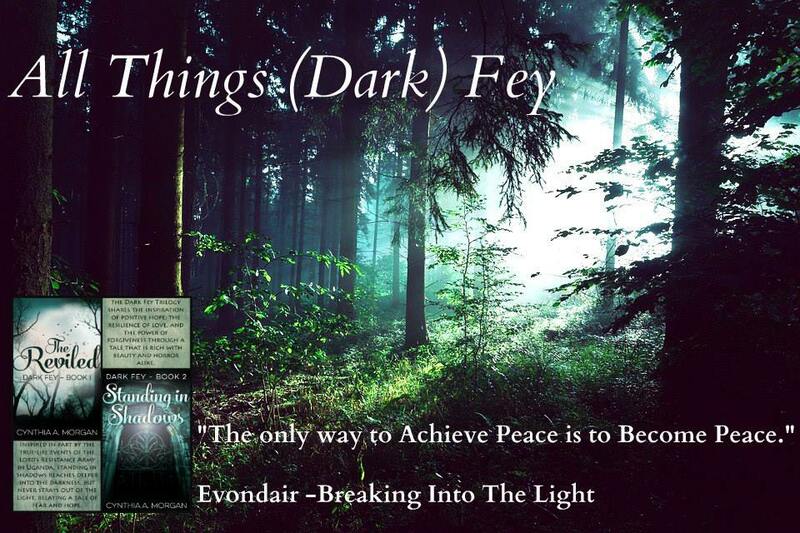 The Trilogy’s finale, Dark Fey: Breaking into the Light is due out in the early part of next year.